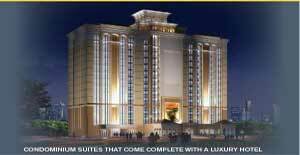 Orlando Cityplace is a first rate preconstruction investment property located downtown Orlando, Florida. If you like to enjoy a sophisticated urban city environment then Orlando Cityplace is for you. Experience the finest restaurants, activities, and sites by investing in this pre-construction real estate opportunity. The Lexington at Orlando CityPlace, a unique Boutique Condominium Hotel, ideally situated in the heart of Orlando CityPlace. Amenities include spacious studios, one and two bedroom suites, 24 hour room service, nightly turndown service, concierge, valet parking, wireless guest suites. Facilities such as a furnished lobby, business center, meeting area, banquet and conference rooms, restaurant, and health club with pool are setup for use at the convenience of the guests. A luxury hotel like no other in downtown Orlando, The Lexington at Orlando CityPlace will make your experience in Florida a delightful visit. 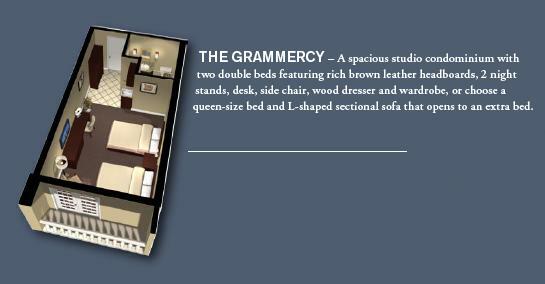 Combine the potential of an upscale condominium with the four-star service, amenities and dining of a sophisticated, urban hotel located in the very heart of America's premier travel destination, and you've got the next big idea in real estate. The Lexington Boutique Hotel at Orlando CityPlace offers the best of all possible worlds. 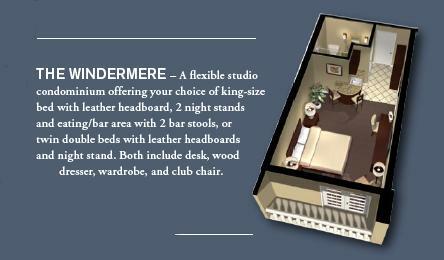 Use your luxurious studio or 1-bedroom unit to enjoy yourself, house corporate clients, or out-of-town guests. When you or those you designate are not in the residence, your accommodations may be rented to millions of year-round Orlando tourists and business travelers, providing you with income from occupied room nights. Like everything about Orlando CityPlace, the spacious studios at The Lexington at Orlando CityPlace are top of the line accommodations. The studios and 1-bedroom suites are custom created by an award-winning interior designer. A color scheme of warm browns with cool accents invites relaxation. 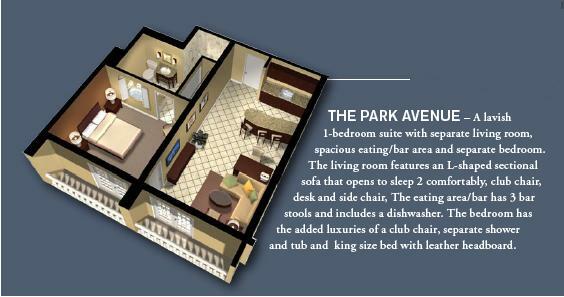 All studios and suites feature an eating or bar area with sink, compact refrigerator, and microwave oven. 1 BED 1 BATH STUDIO CONDO 377 SQ.FT. Other luxuries include brown leather headboards on all king, queen or double beds, large, flat screen TV and louvered privacy shutters on windows and balconies. Custom upgrades such as stone accents, Kohler Spa showerheads, granite bathroom vanities and granite counter tops and backsplashes in the eating or bar area are standard, and have been selected for quality as well as luxury.